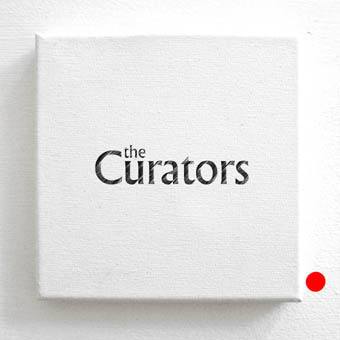 The Curators are an all democratic Band which follows more an art concept that any musical styles. It refuses the dictatorship of notation, a strict song structure or any other rules which were created in the last 50 years of music industry. 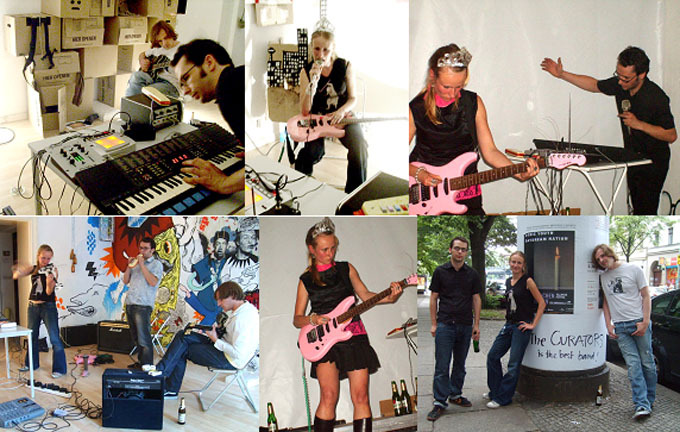 The Curators were formed in Berlin in March 2007 by Anna Krenz and Jacek Slaski who run the art space- Galerie ZERO and by the freelance camera operator Patrick Classen. 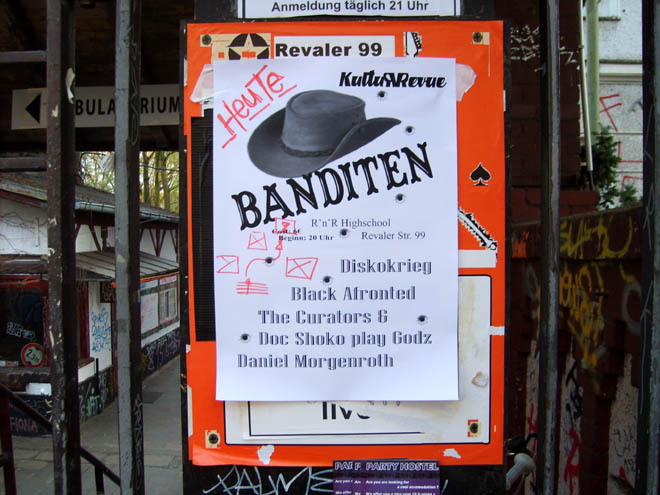 All three are non-educated and non-professional musicians but just follow an artistic idea and concept while creating the Curators. The democratic element can be seen on the way how the three musicians are set. 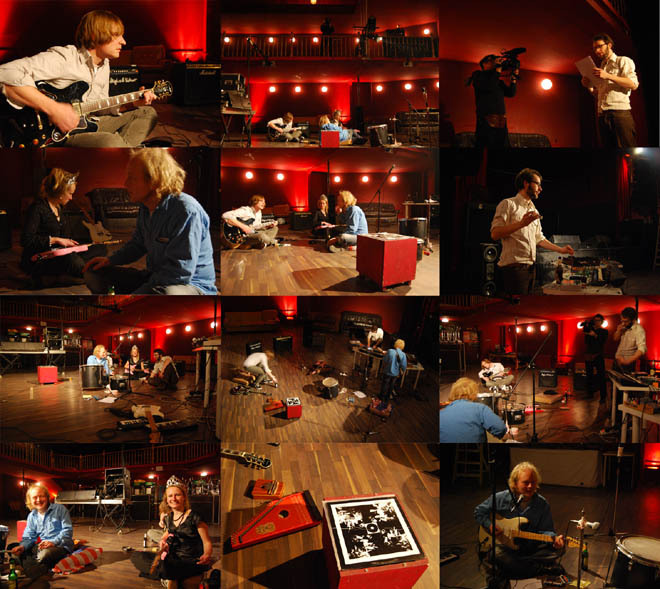 Although Anna Krenz and Patrick Classen are the guitarists and Jacek Slaski is playing keyboards, this can change in every moment of their performance. 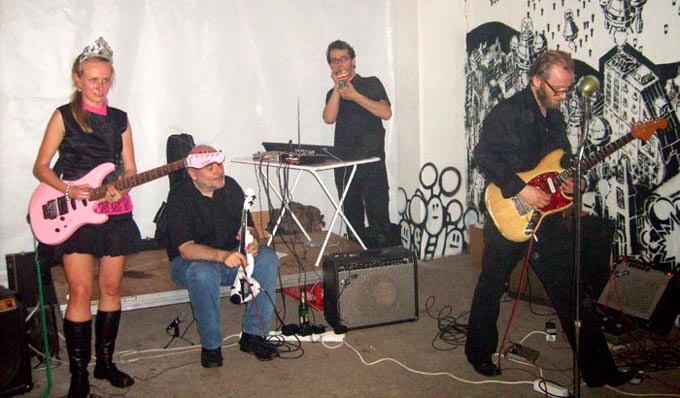 As well there are no prepared concepts, lyrics and song orders during the concerts, it is a free form improvisation which refers to the free-jazz modulations of Sun Ra, the revolutionary approach to music by The Velvet Underground or to the monotonous sound-sculptors by Hermann Nitsch. 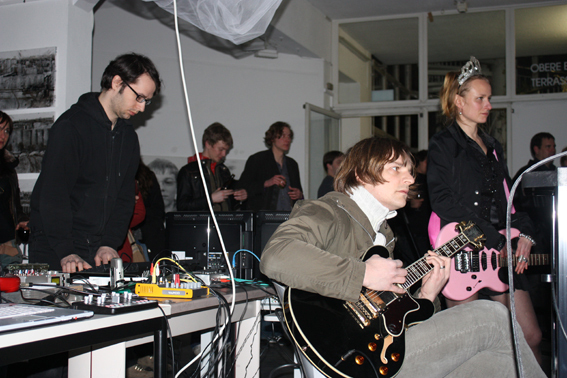 On the MAK Nite evening the Curators have invited an artist and musician Thomas Wagner (Sensor, Herr Blum) who performed live action painting. 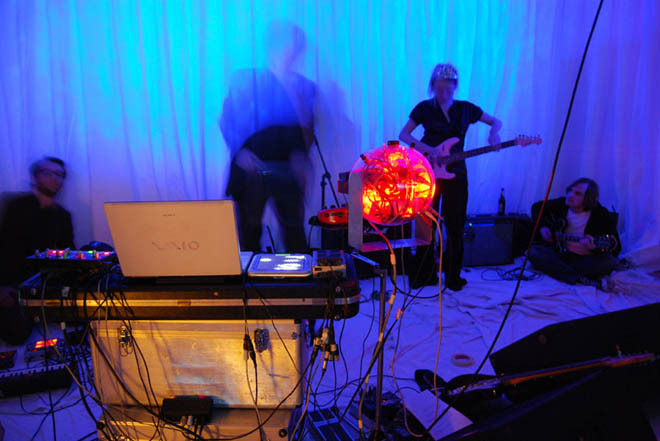 The played the music, and controlled video projections on canvas by Tenori-on. 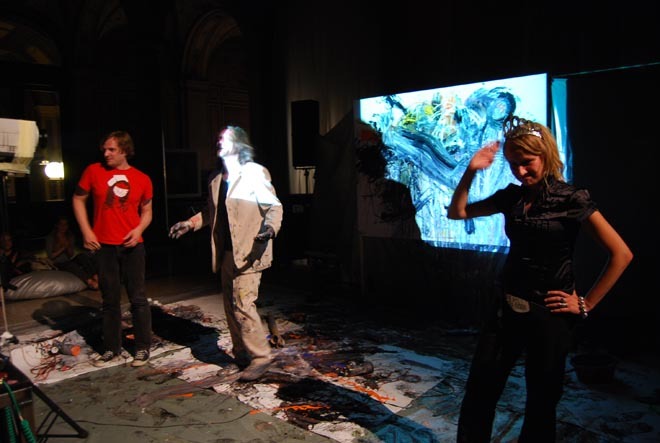 Thomas Wagner was painting using an oil-paint brush with a touch sensor, so his painting was also influencing the video projections, distorting it. 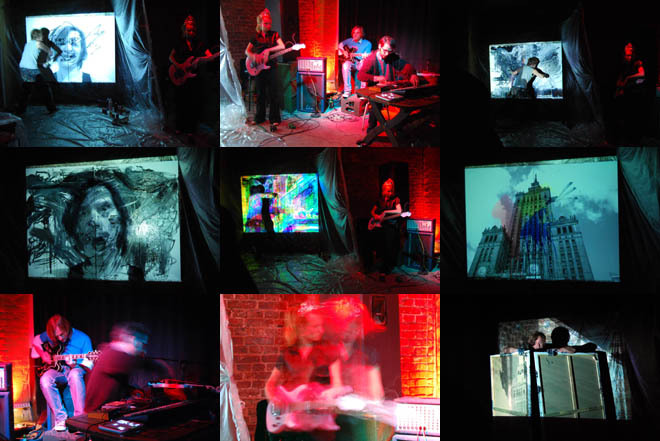 All in a loop of music, video and action painting. 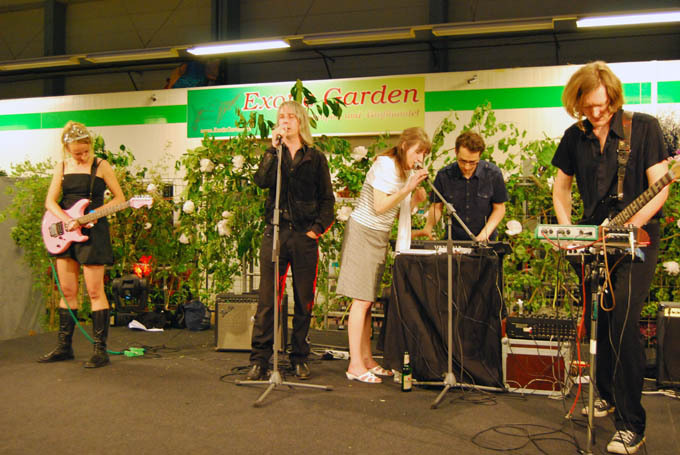 The result of the performance were two paintings created by Thomas Wagner based on the music of the Curators. Album "Contact High with the Curators"